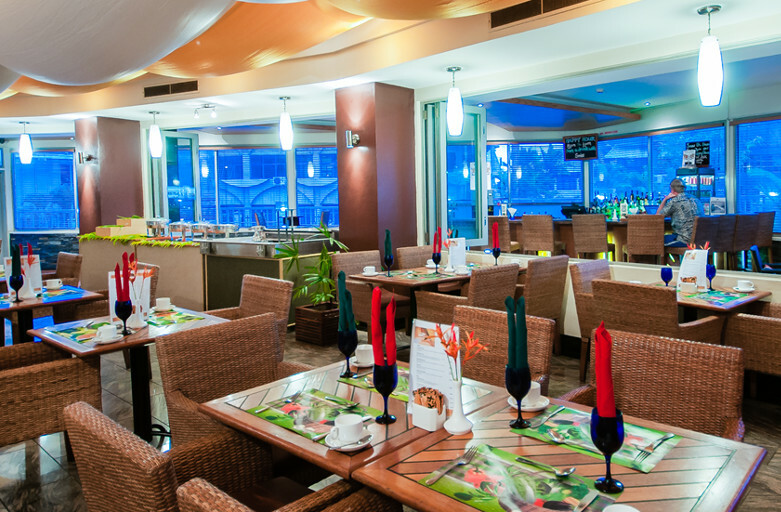 Tanoa Plaza Hotel is Suva’s business hotel, and it’s the ideal base for any kind of travel to Suva – be it business or pleasure. Located in the heart of Suva, Fiji’s capital city and home to the nation’s businesses and diplomatic services, this is the place for corporate-minded travellers. From our central location, a short walk will take you to business houses, retail malls, and a myriad of markets and eateries. Tanoa Plaza Hotel is 5 minutes’ walk from Suva’s city centre, Albert Park and the Suva Flea Market. Nausori International Airport is a 35-minute drive away. Flat-screen satellite TV, air conditioning and a seating area are standard in all rooms. Each room has a work desk, a minibar and tea and coffee making facilities. The tour desk can arrange local activities and flight bookings. The hotel also features a 24-hour reception, a guest laundry and babysitting services. Zest Restaurant offers à la carte dining, and specialises in Pacific Rim cuisine. Zest Bar features a range of cocktails and local and imported beers.